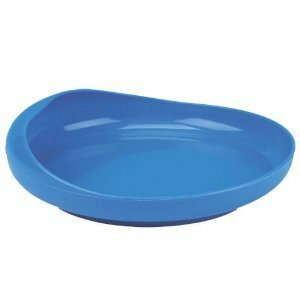 The flat bottom and high rim with a reverse curve on one side help in scooping food onto a utensil without spilling over the side. High rim with inner curve helps prevents spills and assists in pushing food onto the utensil The diameter is 6 3/4¨ (17.1 cm). Molded of white, heat-resistant plastic. Dishwasher safe. If you have any questions about this product by Ableware, contact us by completing and submitting the form below. If you are looking for a specif part number, please include it with your message.